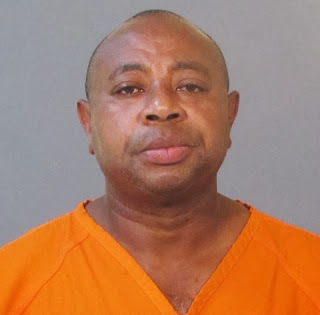 Woodrow Karey, Jr. (pictured above) is currently being held on a $1 million bond in Louisiana for shooting and killing Pastor Ronald J. Harris of Tabernacle Praise Worship Center in Lake Charles, LA last night. LAKE CHARLES, La. — A Louisiana pastor was fatally shot as he preached to a crowd of more than 60 during a revival service and a suspect has been arrested, law enforcement officials said Saturday. The shooting at about 8:20 p.m. Friday was at Tabernacle of Praise Worship Center in Lake Charles, Calcasieu Parish Sheriff's Office spokeswoman Kim Myers said Saturday. Sixty-five people were inside at the time, including the victim's wife, said Chief Deputy Stitch Guillory. Deputies have no information on a motive or on whether the preacher and suspect knew each other, Myers said. Myers said Pastor Ronald J. Harris Sr. was shot twice by the gunman. The man went into the church while Harris was preaching and "walked up to him and shot him at close range," Myers said. The suspect shot him again when Harris fell to the floor. The pastor was pronounced dead at the scene. Woodrow Karey, 53, of Lake Charles is charged with second-degree murder and was held in the parish jail Saturday, Myers said. Karey's bond has been set at $1 million. The gunman left the church, but Myers said Karey called the sheriff's office and surrendered. Myers said after picking up Karey, deputies found two guns in a wooded area – one was a shotgun, the other a .22-caliber pistol. Myers said Karey has no known criminal history.